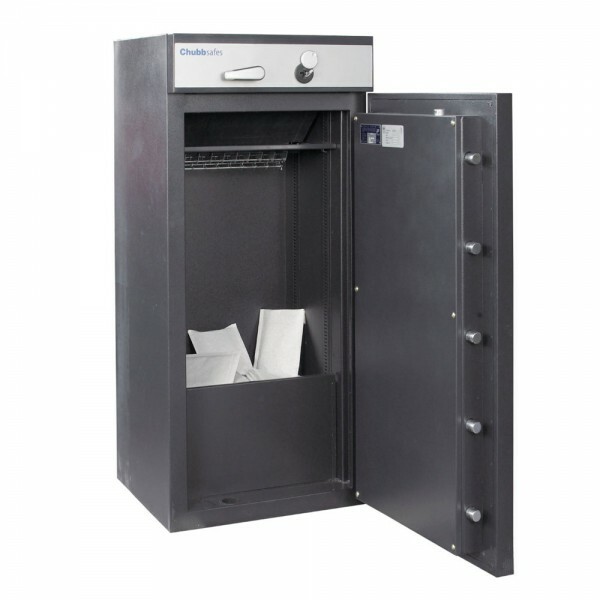 The Chubbsafes ProGuard Grade 2 Size 200 Deposit is a cash deposit solution ideal for environments in which large amounts of cash are handled. It is certified by ECBS to European standard EN 1143-2 D Grade 2 and has a cash rating of £17,500. It is fitted with two Class A key locks, one for the safe door and another for the trap drawer. The safe has an anti-fishing device which prevents deposited items from being removed through the slot. 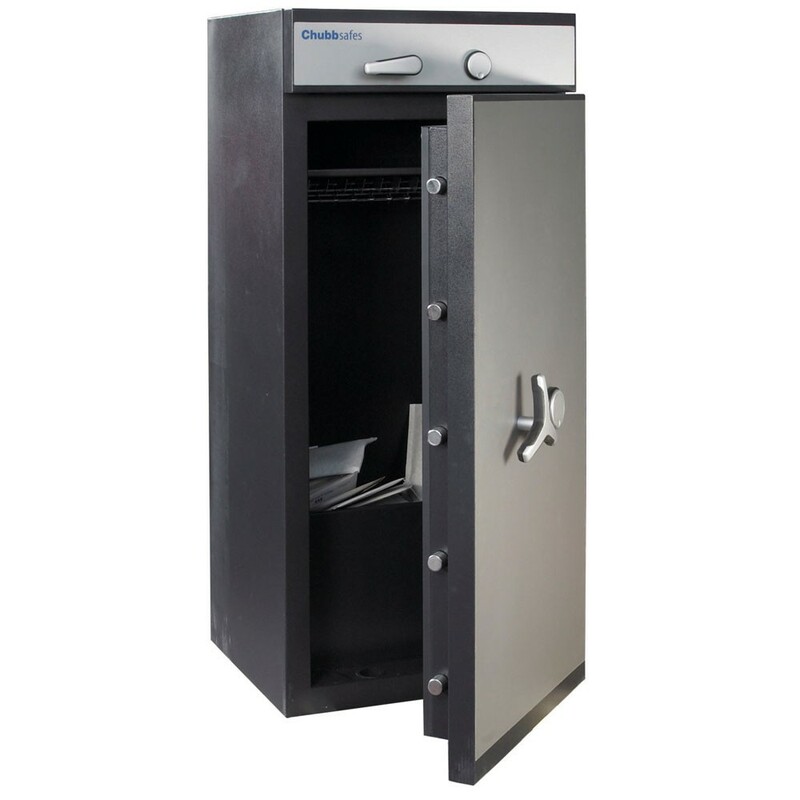 The Chubbsafes ProGuard Grade 2 Size 200 Deposit is made from a composite barrier-material which makes it strong from attacks but also light to carry during transportation. It has three-way solid steel bolt-work, active re-locker and anti-drilling plates for extra security. It is also fitted with a interior retaining plate which prevents deposited contents from falling out when the safe is opened.